Following up on the success of last week’s Transcription Tuesday event – for more on that, see here – this week we’re delighted to offer a guest contribution from one of our transcribers. In it, Gordon Dudman thinks about the process of transcription and goes into a bit more detail on just a few of the 2,300 or so cases featured in the volume we were aiming to transcribe in a day. We’re grateful to all our transcribers from last week, but particularly to Gordon who has not only transcribed several pages & written this post, but has also been helping with the data-cleaning: thanks Gordon! We’re always keen to feature guest contributions, particularly where they draw from project resources – do get in touch if you’d like to offer something! I realised, having helped to transcribe several pages out of the register of the Amalgamated Society of Railway Servants as part of Transcription Tuesday, that there would be a need to ‘cleanse’ the data. Sometimes, basic data was not recorded in the register; or the railway company that the individual worked for was sometimes written in railway shorthand or omitted altogether. Snippet from the volume – one type of missing info! Which branch of the union did John Thorpe belong to and for which railway company did he work? A search for Oakenshaw showed that the station had been built by the North Midland Railway, eventually becoming part of the Midland Railway. 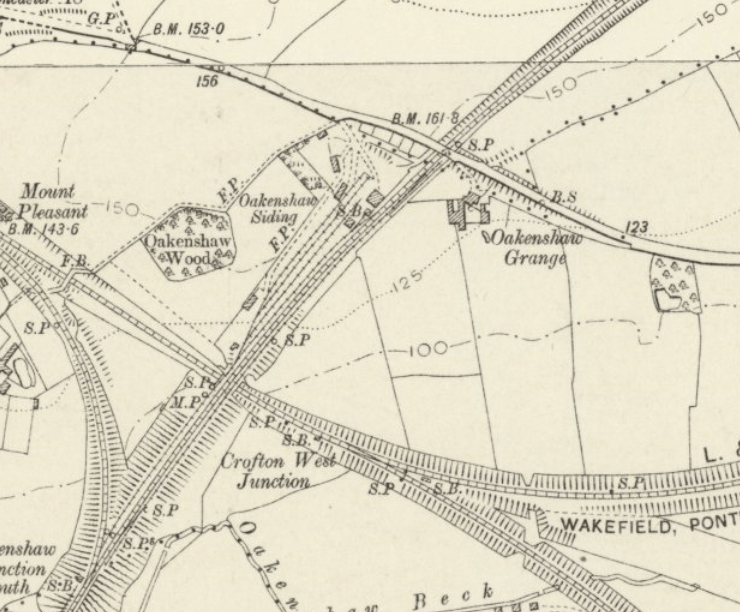 Although the station had closed in 1870, a quick check on the 1913 Ordnance Survey map (via the National Library of Scotland maps website) showed an extensive network of sidings to serve local collieries where the former station had been. This and the proximity of Wakefield suggested that John’s union branch would have been Wakefield and that it would be entirely possible for an engine to have struck his brake van. Then there’s the case of William Mercer (see previous blog post). Although the records show much about William, the one thing that wasn’t obvious was: which railway company did he work for? Looking through other records, it appears that York No 1 Branch looked after both North Eastern and Midland Railway employees. Further research was needed. In this case, the newspaper archives held by the British Library would provide the answer. The Yorkshire Evening Post for Saturday 26 January 1901 records that he was indeed employed by the North Eastern Railway and that his death was recorded as an “Accidental Death”. The start of William Mercer’s entry in the volume. No Christian name, an unknown date and yet again, no railway company. Reading the rest of the entry, this was rather a sad case. The register records “Widow and 5 children. No one saw the accident, and no one knows how it occurred. No inquest and company deny all liability, stating that there was no accident within the meaning of the act. So gave widow £20 as a gift.” The first stage was to see if a record of death could be found and this instance, Ancestry came up with a record in the fourth quarter of 1900 for 38-year-old Alfred Hanley of Pocklington. A quick cross-check of the 1891 census shows Alfred and his wife Mary living in a Railway Cottage in West Green, Pocklington along with their 5 children. Thankfully, he is a “Railway Signalman NER”. Search forward to the 1901 census and Mary, now described as “head” is living at No 7 Victoria Terrace, Pocklington now with 6 children; Alfred, Walter, Elsie, Arthur, Edith and 7-month-old Ethel. Alfred (aged 19) is recorded as working as a clerk on the railway. I can surmise that Alfred would have spent some time with his new daughter, her birth is recorded in the 3rd quarter of 1900. A nurse friend of my wife’s, when I explained this case to her, thought that “Bowel Injury” to many Victorians would, in fact, have been acute appendicitis. Death would not have been too prolonged but exceptionally painful nevertheless. As a further check, I looked at the 1911 census, the family are now living at 16 Regent Street, Pocklington. It looks as if the NER have looked after the family; their second eldest son (Walter) is now also a Clerk working for them together with their third son, (Arthur) working as a Porter. What was surprising is that between them they had 15 children, 7 having died in infancy with 8 living in 1911. If you enjoy these genealogical challenges and have some spare time, then I’m sure the Railway Work, Life & Death team would like to hear from you. 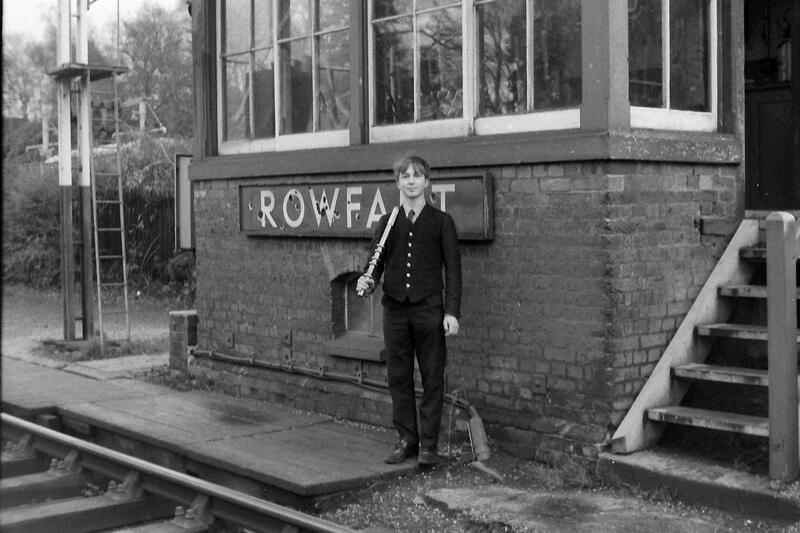 This is me, aged 14, running the signal box at Rowfant after school one late afternoon in the Autumn of 1966; a few months before the line closed at the end of that year. A year later and I started my railway career, working as a Booking Lad in the Signal Box at Haywards Heath. My interest in genealogy was sparked by watching the BBC’s “Heir Hunters” and the realisation that the digitisation of so much historical data meant it was quite easy to build family trees. My first attempt came after I spotted a Tweet asking if anyone knew about Private Jacob Rivers, a railwayman VC holder. Within a couple of hours, I was able to suggest a couple of names and telephone numbers of likely living relatives. This resulted in a gathering some months later of some 150 relatives, some meeting each other for the first time, at the unveiling of a memorial to Jacob at Derby station. Since then I have investigated the backgrounds of notable railway families along with all 12 names on a WW1 memorial in the Parish Church at Chacombe; again, this time uniting a family to the grave of a great grandfather.